We considered multiple aspects including durability, reliability, price to quality ratios and feedback from users, to select the best mods under $100. 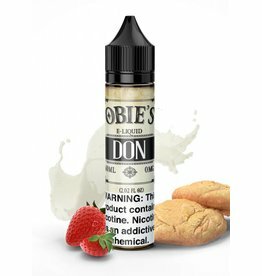 We Bring Hand Selected E Liquid Direct from the Manufacturer. We strive to give the end comsumer better prices and top notch service. WARNING: The products listed on this site may contain nicotine. Nicotine is an addictive chemical. The TopVape products listed on this site are intended for use by persons of legal age (at least 18) or older in your jurisdiction, and not by children, women who are pregnant, or may become pregnant, or any person with an elevated risk of, or preexisting condition of, any medical condition, which includes, but is not limited to, heart disease, diabetes, high blood pressure or asthma. If you experience any side effects or possible side effects, stop using the product immediately and consult a physician. These products may be poisonous if orally ingested and are not intended to treat, prevent or cure any disease or condition. For their protection, please keep out of reach of children and pets. These products are not smoking cessation products and have not been tested or guaranteed as such. Neither the Food and Drug Administration nor any other health or regulatory authority has not evaluated the safety of these products or any of the statements made by the manufacturer. The manufacturer is not responsible for any damage or personal injury caused by inappropriate, incorrect, or irresponsible use of our products. We reserve the right to change specifications, product descriptions, product quality, pricing and application at any time without prior written or oral notice. When recharging devices, use only the charger provided. Use of unauthorized chargers (including car chargers or car charger adapters) may lead to overheating and possible burning of items in contact with the device. TopVape is not responsible for battery and charger explosions, fires or malfunctions due to the use of unauthorized chargers or product misuse or abuse. 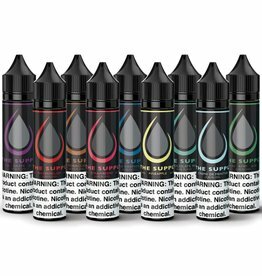 CALIFORNIA PROPOSITION 65 - WARNING: TopVape products can expose you to (a) chemicals, including nicotine, known to the State of California to cause birth defects or other reproductive harm, and (b) chemicals, including formaldehyde and acetaldehyde, known to the State of California to cause cancer.